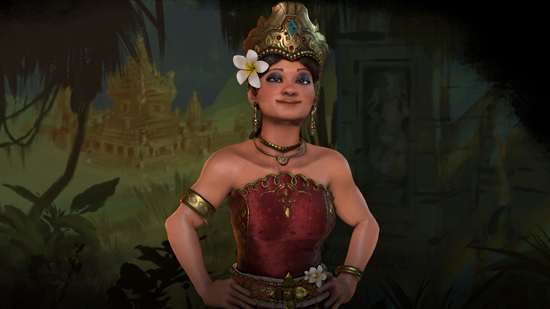 Gitarja will lead Indonesia in Sid Meier’s Civilization VI. As the Duchess of Kahuripan, she lived a sheltered life. As described in the epic poem 'Nagarakretagama,’ though, Gitarja’s ascent began with the murder of her half-brother, King Jayanagara in 1328. She then came to power by order of her mother the following year. Gitarja wound up ruling with the help of her spouse, Kritavardhana, during a time of chaos and open revolt.